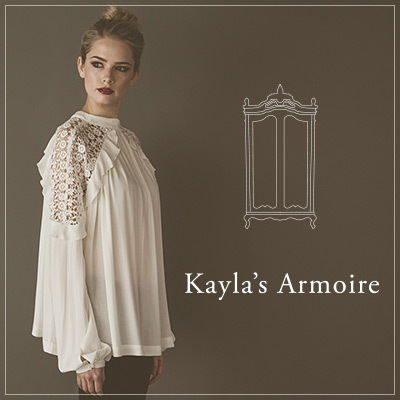 Kayla`s Armoire is uniquely designed clothing with style and comfort in mind. At the heart of every Kayla`s Armoire design is the drive to match comfort and style. Although style has its importance, every woman wants to be comfortable. Kayla`s Armoire combines comfort and confidence with a style that catches attention and designed for both women and girls! Based off of a boutique shopping experience. Check out focused on bringing the best of style and comfort to your shop.